We’re Opening our 3rd Location in Las Vegas (Centennial Hills)! 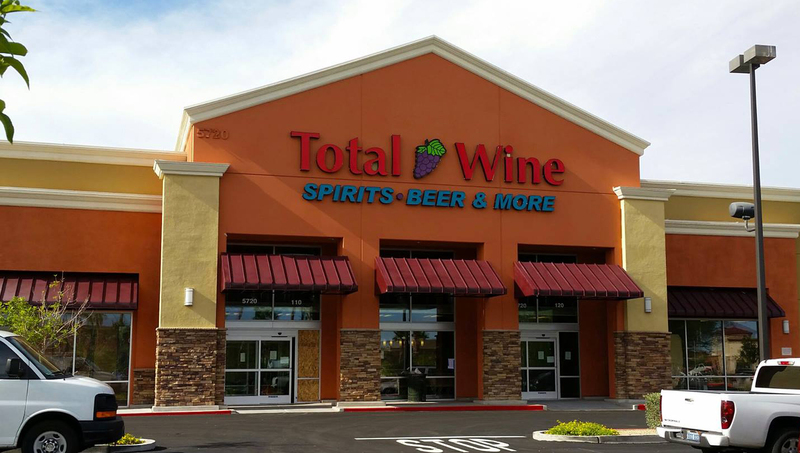 Total Wine & More is thrilled to be opening our third store in Las Vegas, Nevada! The new store will be located at 5720 Centennial Center Blvd in Centennial Hills — join us for our Grand Opening festivities starting Thursday August 20th at 4:00 P.M. (Click here to see more about our store and all of the Grand Opening activities). This is our 4th store in Nevada, and our 118th store in the nation. We’re looking forward to finally settling in Centennial Hills, and even more excited to be members of this lively and growing neighborhood. Stop by the store August 20-23 and join us in supporting the Opportunity Village. Total Wine & More will be donating a portion of our Grand Opening weekend sales to benefit Opportunity Village, a not-for-profit organization serving children and adults in the southern Nevada community with intellectual disabilities to enhance their lives and the lives of the families who love them. Through vocational training, community employment, day services, advocacy, arts and social recreation, citizens with severe disabilities are able to find new friends, realize future career paths, seek independence and community integration and unleash creative passions. Be sure to follow them on Facebook, Twitter, or Instagram! Looking to celebrate our Grand Opening with us? 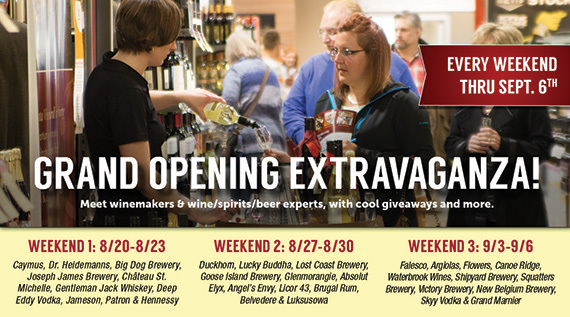 Join us for our first weekend of Grand Opening tastings and events starting at 4 P.M. on August 20th! Throughout the weekend we’ll have tastings featuring Caymus Vineyards, Dr. Heidemanns, Big Dog Brewery, Joseph James Brewery, Chateau St. Michelle, Gentleman Jack Whiskey, Deep Eddy Vodka, Jameson Irish Whiskey, Patron Tequila, Hennessy Cognac, plus live music and more! Love craft beer? Make sure to visit the Brewery District for 32oz and 64oz growler fills of fresh craft beer, with a great local selection! You can even see our growler menu online before stopping into the store at www.totalwine.com/whatsontap. Make sure to “Like” us on Facebook to stay up to date on all the upcoming events and latest product arrivals at our newest store in Nevada. Share your experience at our Grand Opening events on social media with the hashtag #totalwineGO. Our social team will be sharing the very best experiences and photos to our social accounts. I can’t believe the Alpharetta GA store does not stock 1/4 kegs of Budweiser. I special order it and they continually screw up the order. It is only the largest selling beer in the world. I also can’t believe that they can’t get the order right.Don’t even try to contact the corporate office.